Manufacturing is the production of products across all industries, on a large-scale, using machinery. Yposkesi, a leading CDMO for gene therapy viral vector manufacturing, today announces that its chairman Frederic Revah Ph.D. will participate as a panelist on the topic of ‘Manufacturing and the CDMO Perspective’. The revolutionary bioengineered healing glove created by researchers at the University of Texas at Arlington Research Institute and the University of Washington has completed another key step on the road toward commercialization. The University of Colorado Anschutz Medical Campus announced the funding of $3.4 million by the U.S. Food and Drug Administration to create the most advanced living mimicry of a human lung to identify toxicity and cancer-causing potential of emerging tobacco products. Shortages of essential cancer medicines have a direct impact on patient care across Europe. To ensure that this issue remains a top priority on the EU policy agenda, ESMO -the leading European professional organization for medical oncology, collaborated with the European Parliament to organize a cross-partisan event entitled "Shortages of Inexpensive, Essential Medicines: Calling for Tangible Political Commitments in the EU". Antibiotic resistance is an emerging global public health threat spurred by the overuse and misuse of antibiotics. 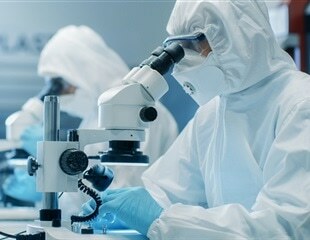 INTERPHEX has been the leading pharmaceutical, biotechnology, device development, and manufacturing event for 40 years. Lonza will launch the MODA™ ES Software Platform, a next-generation electronic batch record execution solution, at the Paperless Lab Academy 2019 from 9-10 April at Baveno, Lake Maggiore. Gene editing has been a much sought after and controversial technology. Last month, part of the World Health Organization called for an international registry to track all research into editing the human genome. The U.S. Food and Drug Administration today posted warning letters to four companies who produce homeopathic drug products for significant violations of current good manufacturing practice regulations, including a letter to King Bio Inc. of Asheville, N.C.